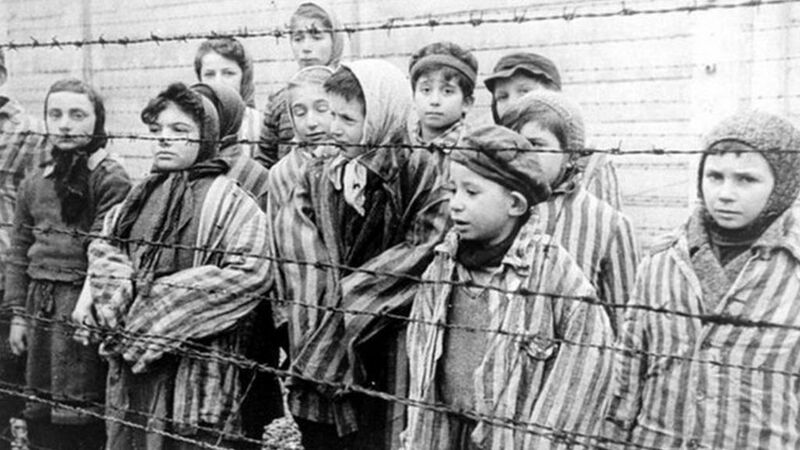 I’ve always had a perhaps deeper than normal interest in the subject of the Holocaust. It started in high school when my sociology teacher showed the television series “Holocaust” and the whole thing became a part of my soul. I’m not Jewish and I grew up knowing no one who was Jewish but for some reason I’ve always felt I was somehow connected to it. When I see photos of the prisoners in the camps, I always feel like I’m looking at my own family or even myself. Earlier this year, I went to the United States Holocaust Memorial Museum in DC and it was an emotional, terrifying, sickening walk through an unbelievable but real event. I’m currently watching a Holocaust documentary on the National Geographic channel and it feels like this entire year, whenever I watch something about the Holocaust, I’m seeing an old map of current events. I feel a horrifying deja vu. I tell myself I’m probably just over reacting but then, daily, events seem to reflect way too closely the timeline leading to those events in Germany. Only this time, there will be no Americans to swoop in and save the day. Anyone else feel this impending doom? Can the course be turned?